We’d love your help. Let us know what’s wrong with this preview of Fractured Ever After by Heather Hayden. Some heroes go searching for their happily ever after: a dragon cocoon hunter explores the dangerous woods for his sleeping beauty; a prince forces a perfect romance on an unsuspecting maiden; and when a girl leaves town, she must quickly decide to trust—or Old classics are fractured into exciting new tales in this international collection of magic, mystery, and adventure. To ask other readers questions about Fractured Ever After, please sign up. The secret to reworking a fairytale, in my opinion, is to identify the aspect that distresses us and use that as a creative springboard. That’s what every author in this collection has done. So if you have ever been irritated by the selfishness of the princess in “The Princess and the Frog,” or distressed at the idea of Beauty marrying her captor, or horrified at the way Snow White treats her stepmother at the wedding, read these fractured fairy tales and appreciate their inventive solutions. My The secret to reworking a fairytale, in my opinion, is to identify the aspect that distresses us and use that as a creative springboard. That’s what every author in this collection has done. So if you have ever been irritated by the selfishness of the princess in “The Princess and the Frog,” or distressed at the idea of Beauty marrying her captor, or horrified at the way Snow White treats her stepmother at the wedding, read these fractured fairy tales and appreciate their inventive solutions. My personal favourites are L.B. Garrison’s “Beauty” and “This Little Piggie” by Alexander Thomas. Reading “Beauty”, I was drawn in by the descriptive language, then charmed by the quiet love-story. A fantasy landscape over-run with dragons is nothing new, yet L.B. made it fresh and intriguing for me. “This Little Piggie” is a great contrast. A YA retelling of “The Three Little Pigs?” I didn’t think it could be done. Everyone knows the story is for five year olds, isn’t it? I was wrong. Thomas’s style is classy and assured, and his protagonist, P.G. Everest, a force to be reckoned with and a great comic invention. Just don’t read it to your five year old! The tone varies from gentle romance to dark humour, but treads a welcome path between the Scylla and Charybdis of sugary sweet (intended audience is 13 years plus) and cynically brutal. We turn to fairy tales for an escape from harsh reality, but we know that we will find injustice and hate here too. What marks most fairy tales out from the rest of literature, Hans Christian Anderson aside, is that the victim of injustice wins the day. These tales might be fractured but they honour that principle, and if the endings are not always as black and white as the traditional ones, they are more mature and satisfying. I received an ARC from the publisher. This review is my own independent and fair evaluation. 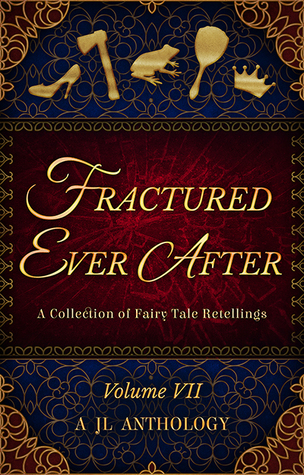 I really enjoyed this anthology of fractured fairy tales. Each puts a new twist on an old favourite tale, and the result is a very fresh and creative set of stories. My personal favorites were True Reflections (an interesting take on the story behind Snow White) and On the Wrong Foot (a humorous look at the romance of Cinderella and her Prince). Recommended for any fans of fairy tale retellings. I received an ARC from the publisher. This unsolicited review is my own personal opinion. Heather Hayden is a writer, gamer, reader, editor, and computer geek, though not in any specific order. She can’t remember when she first started tapping away at a keyboard but she’s grateful that those early attempts at writing are lost in the ancient format of floppy disc. She does miss that racing MS-DOS game she used to play, but has found other games to spend free time on, such as Warcraft III Heather Hayden is a writer, gamer, reader, editor, and computer geek, though not in any specific order. She can’t remember when she first started tapping away at a keyboard but she’s grateful that those early attempts at writing are lost in the ancient format of floppy disc. She does miss that racing MS-DOS game she used to play, but has found other games to spend free time on, such as Warcraft III and Magic the Gathering, when she has spare free time. A lot of her free time is spent reading her latest haul from the local library.